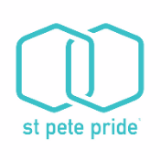 ST. PETERSBURG, FL - St. Pete Pride, acknowledged as the state’s largest LGBTQ Pride event, is proud to announce an historic event happening at this year’s Pride. For the first time in Florida, this year’s St. Pete Pride parade will be kicked off by the TransPride March, consisting of all members of the transgender, gender-non-conforming, queer communities, their families, friends, allies and supporters. The TransPride March is proudly sponsored by Equality Florida and its transgender inclusion initiative, TransAction Florida. “TransAction Florida is so proud to sponsor this historic march recognizing the entire spectrum of the transgender community. It is time that all identities feel safe to step forward out of the shadows and demand that the world see us as we see ourselves. We call on all Floridians to join us at this historic event,” added Gina Duncan, Director of Transgender Equality, Equality Florida. The first 500 people to register will be given a TransPride T-shirt and transgender pride flag. All marchers are encouraged to bring transgender pride flags. “I am thrilled to be part of a Pride festival that recognizes the importance of intentionally celebrating the transgender community. Elevating the voices of the trans community and celebrating pride in all our unique identities and stories within the LGBT is an amazing and beautiful thing,” said Nathan Bruemmer, St Pete Pride Board Member and TransAction Advisory Board Member. March participants will march towards the designated start of the Parade so anyone in the March can also join the Parade.